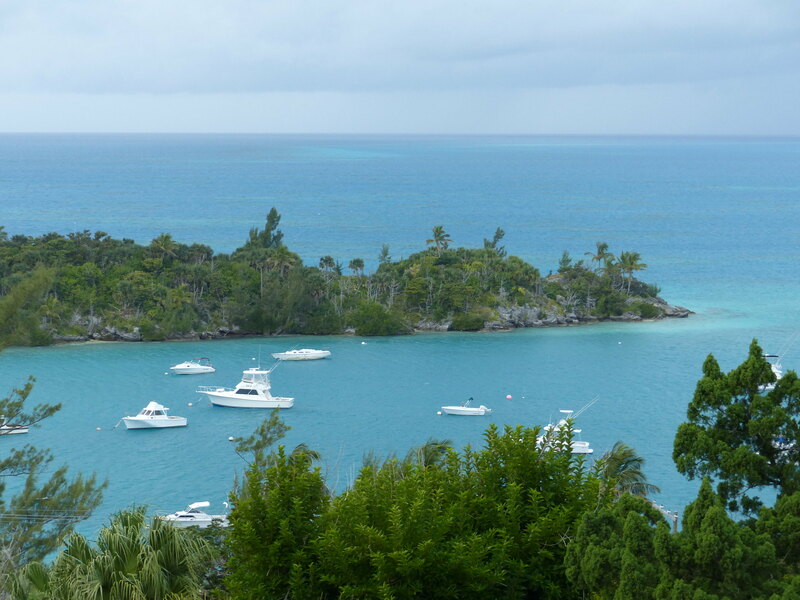 For both me and Emma, the Christmas holidays brings a closed office, and so not wanting to spend 12 days in Toronto’s winter, we jetted off to somewhere far warmer, Bermuda. 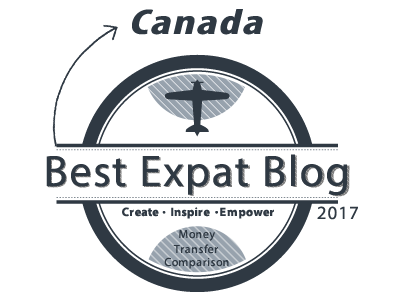 There are a lot of tropical sounding islands – Bahamas, Barbados, Barbuda and Bermuda. But only three of those are in the Caribbean, the odd one out being Bermuda, which sits out all by itself in the middle of the Atlantic. This didn’t stop it being a full 40°c warmer than Toronto in late December though, so we were quite pleased with our choice! 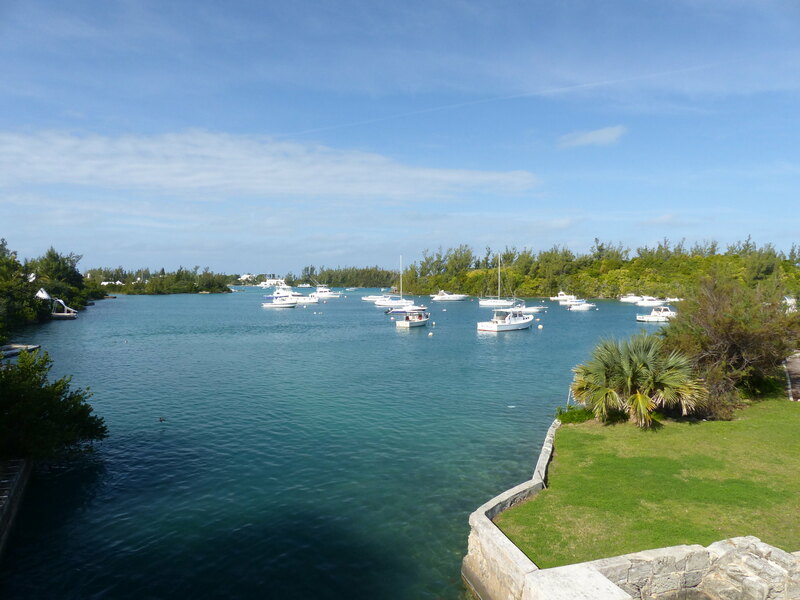 We spent most of our time in Bermuda staying in Somerset Village, and only steps away from the Railway Trail. The trail follows the path of the former Bermuda Railway, which ran for 22 miles from Hamilton to Somerset between 1931-48. 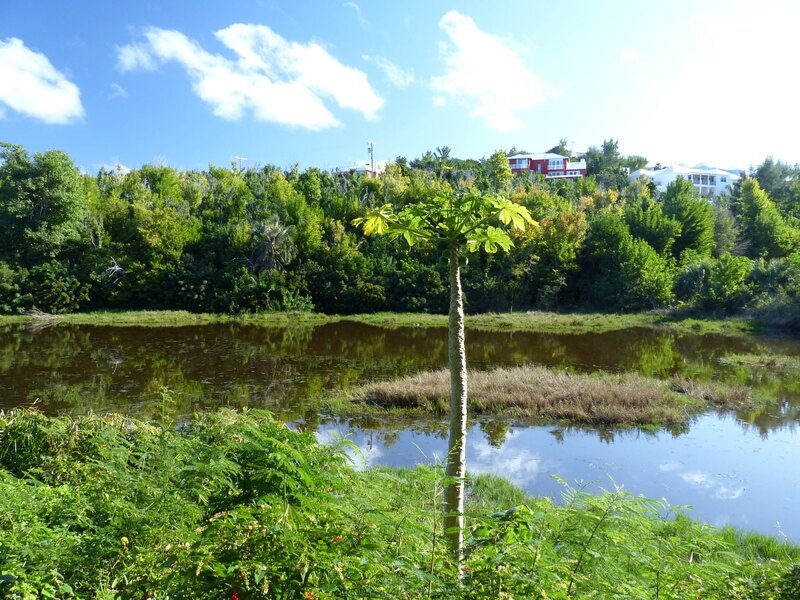 There are some beautiful sights along the Bermuda Railway Trail, including this view of Ely’s Harbour. 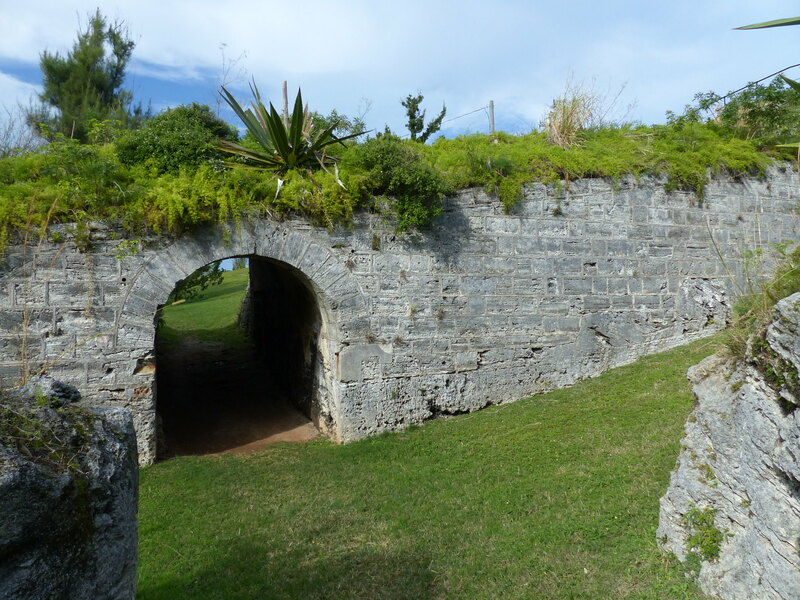 The Railway Trail follows the path of the former railway that ran from Somerset in the west, to Hamilton, Bermuda’s capital. 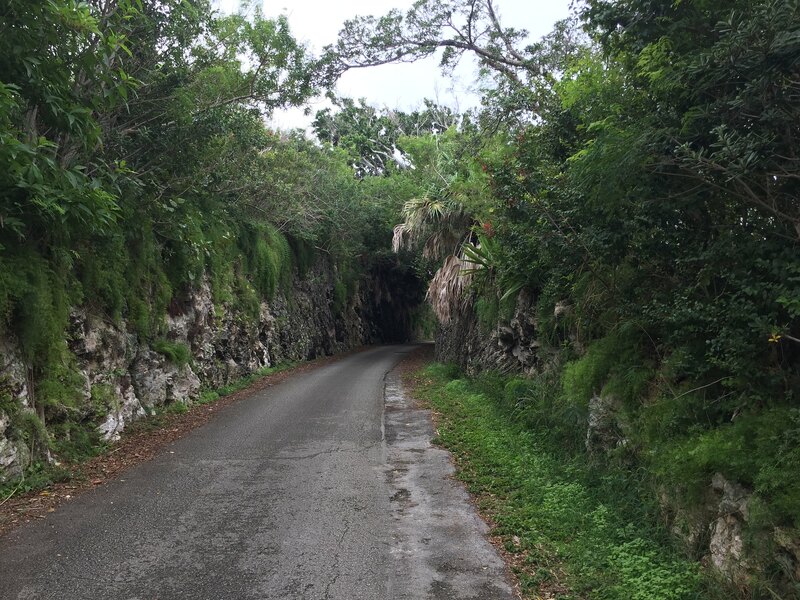 As a walking and cycling trail that runs along much of Bermuda’s length, it provides access to some great sights along the way. Here are three of our favourites. One of the very first places we visited in Bermuda was Gibbs Hill Lighthouse. 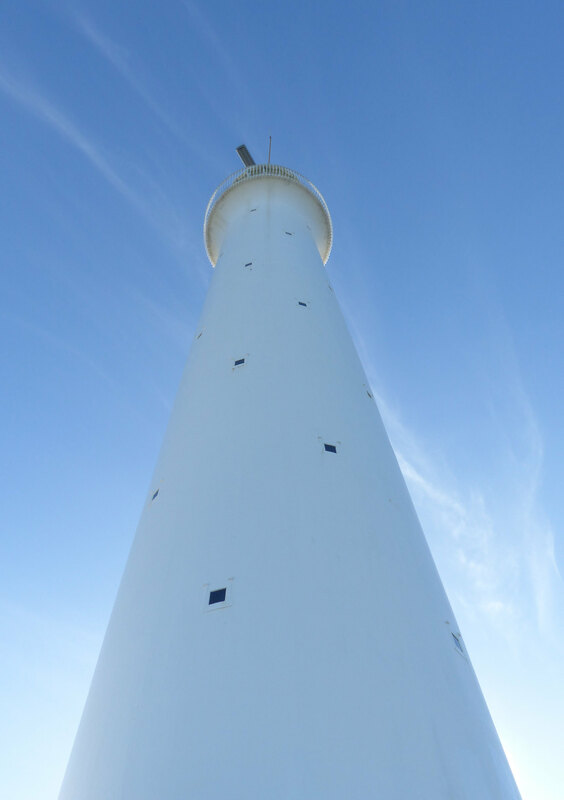 As a lighthouse sitting on top of a hill, it is naturally one of the highest points in Bermuda, and at only $2.50 per person to enter, it’s a bargain for the stunning views it offers. There are some stunning views from the top of Gibbs Hill Lighthouse. 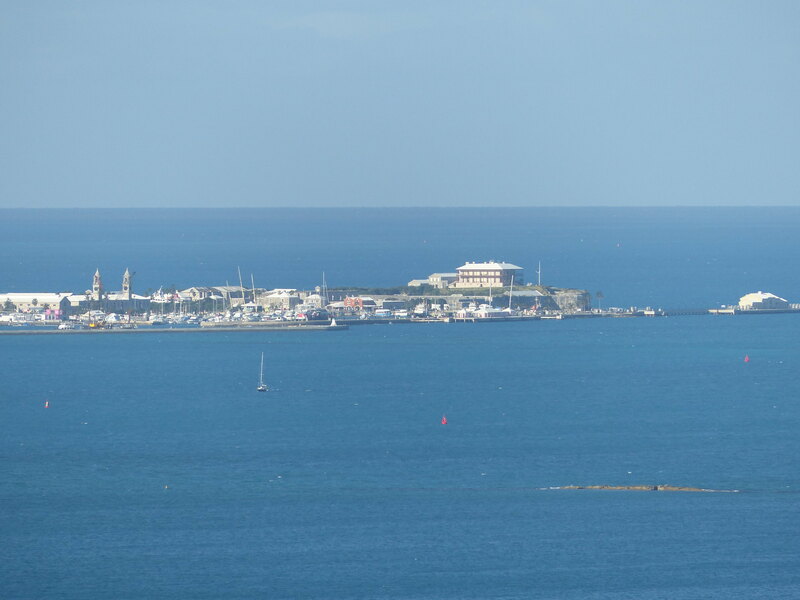 You can see much of Bermuda from the top of Gibbs Hill Lighthouse, including all the way to the Royal Naval Dockyard. 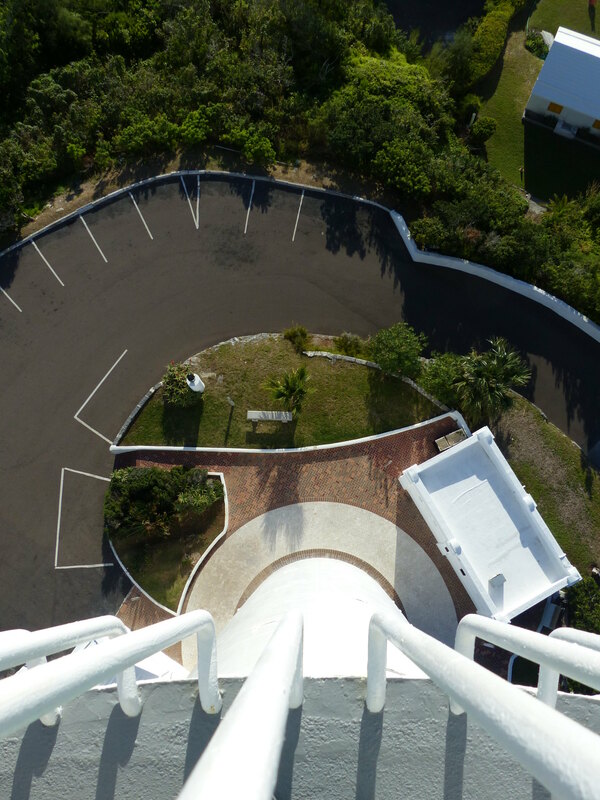 The downside to such great views is the climb up to the top of the lighthouse, with 185 steps to take before you reach the top. But information boards on several floors along the way give you a chance to take a break or two as you ascend. 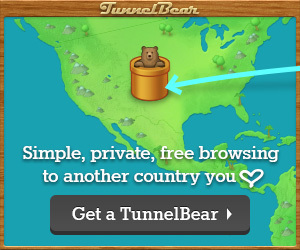 …and it’s a long way down. 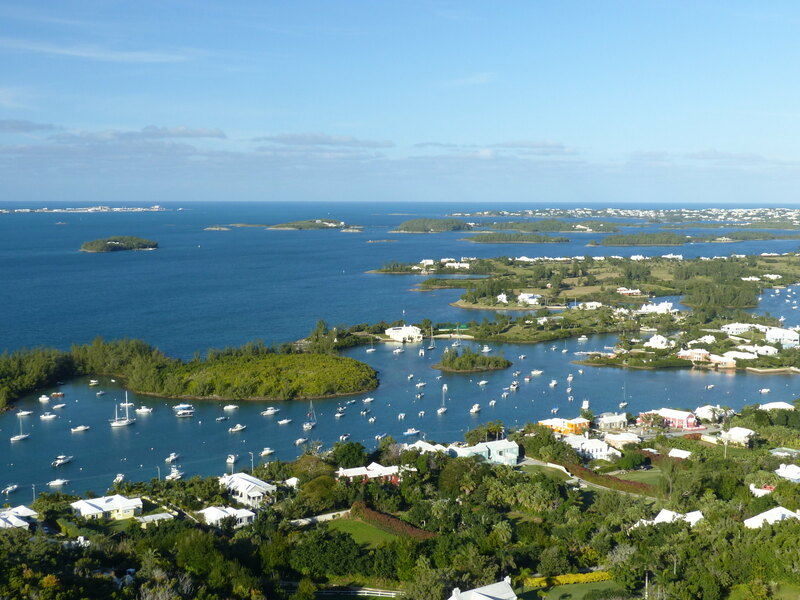 It was a beautifully clear day when we visited, so we could see much of Bermuda, from the Royal Naval Dockyard to Hamilton, and as far as the eye could see across the shimmering Atlantic Ocean. 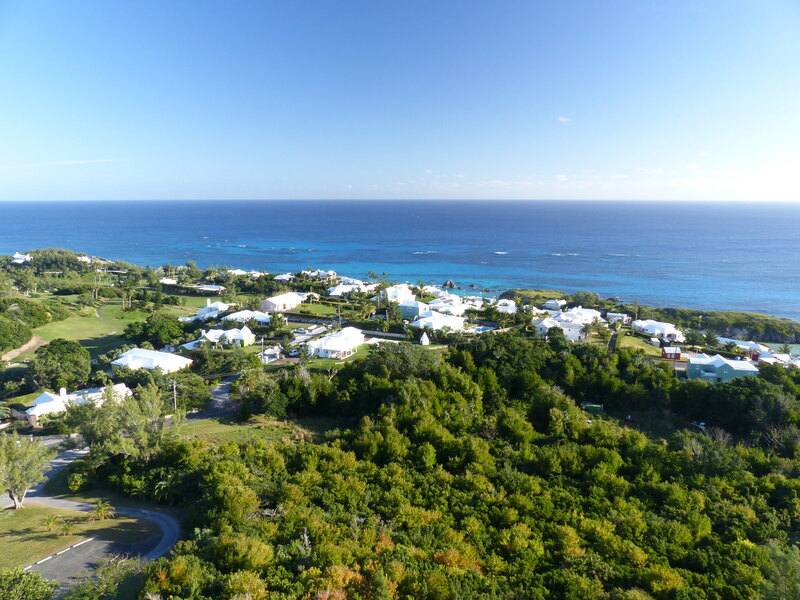 It was also a great perspective on how densely populated Bermuda is, with trademark white roofed houses dotted absolutely everywhere across the islands. View to the south from the top of Gibbs Hill Lighthouse. We first tried visiting Scaur Hill Fort Park on a Christmas Day walk, thinking that it would be something of an open park, only to find that it was being suitably fort-like, and we were locked out! So we had to return the following day once open again to peak inside. 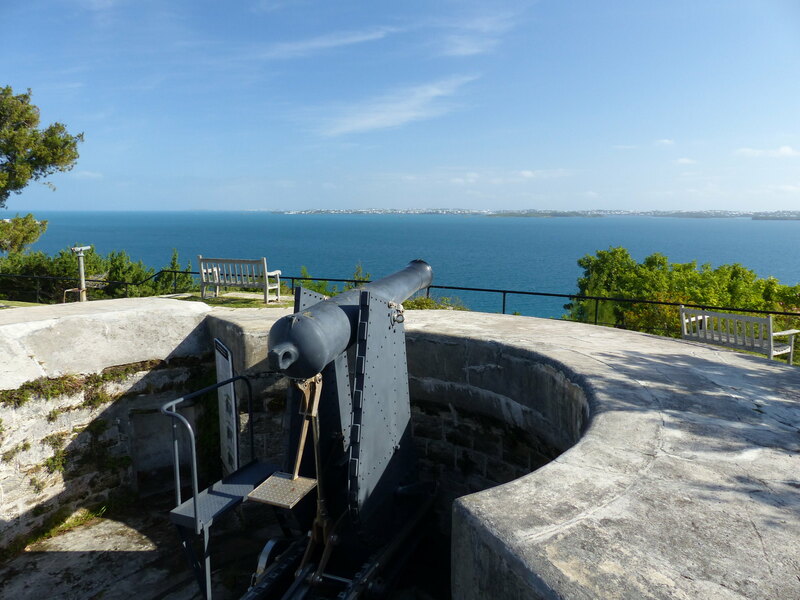 There are some amazing views across Bermuda’s Great Sound from Fort Scaur. In the opposite direction, you can look down on Ely’s Harbour and gaze out across the Atlantic Ocean from Scaur Hill Fort Park. 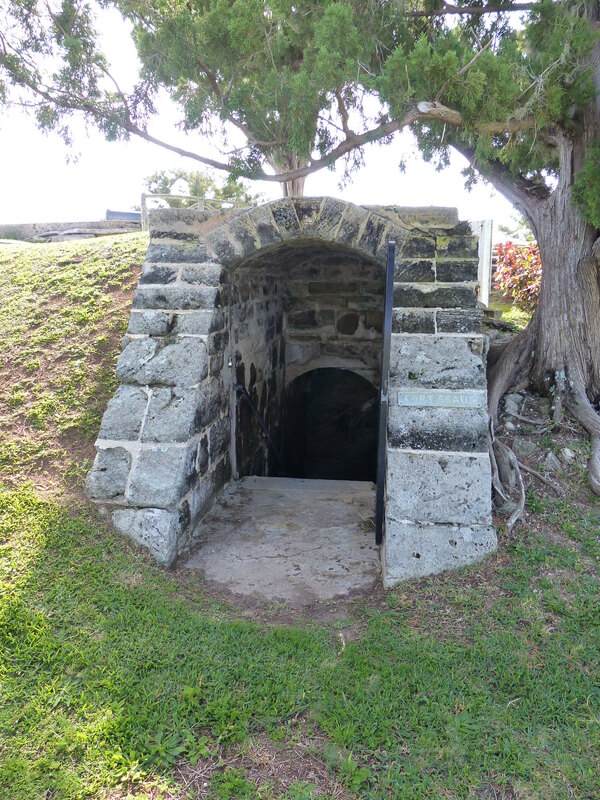 Fort Scaur was one of 90+ forts built across Bermuda by Great Britain to protect the islands from enemy advances, with Bermuda offering a strategic naval location in the Atlantic. The small climb up the hill to the park is well worth it, as you can see why this location was picked for a fort – it offers a beautiful view across the Great Sound towards Hamilton. Once we had done with the view, we explored the underground network of tunnels and chambers, which were used to store ammunition and provide places to repel enemy attackers. We had fun exploring the defences and tunnels of Fort Scaur. After the being locked out of Scaur Hill Fort Park on Christmas Day, we headed south to our next sight – the world’s smallest drawbridge! 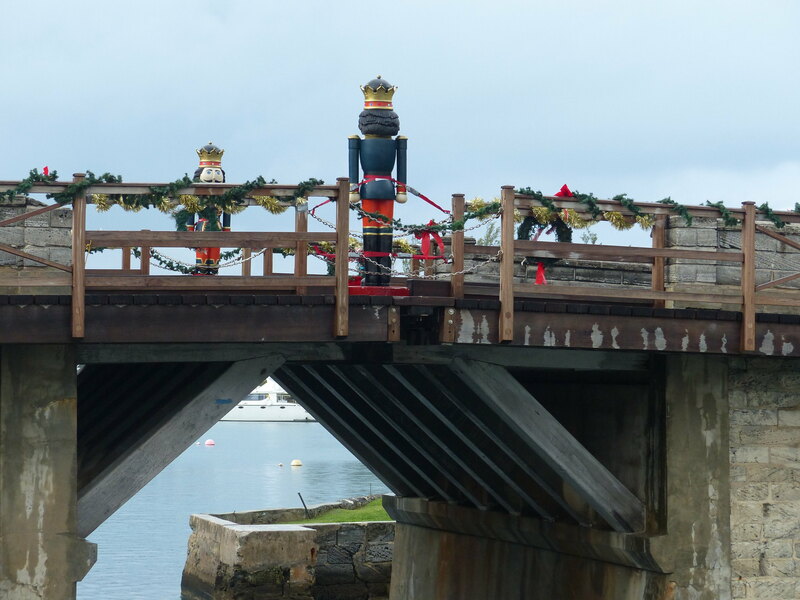 Being Christmas, the bridge was festively decorated including two giant nutcrackers! The World’s Smallest Drawbridge! It was festively decorated too, including two nutcrackers! The drawbridge is just wide enough to allow a sailboat’s mast to pass through. Connecting Somerset Village with the rest of Bermuda, the middle section of the bridge is removed by hand to allow the mast of a sailing boat to to pass through. Drawbridges have never been on a holiday itinerary for us before, but when it’s the world’s smallest you just have to make an effort! Unfortunately for us, our visit coincided with the heavens opening, and sending a short lived tropical rain shower our way. But being Brits, we had umbrellas at hand, so fortunately we didn’t get too drenched! We also visited Seymour’s Pond Nature Trail along the Railway Trail. 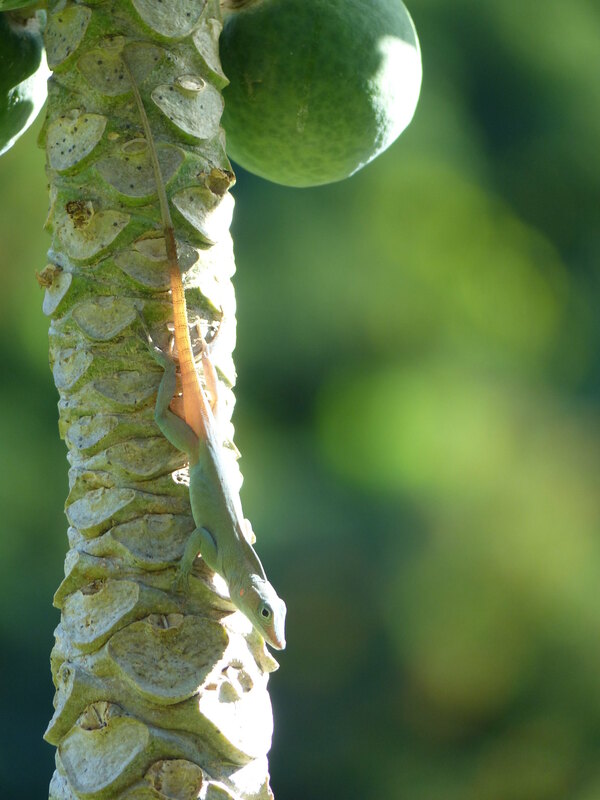 We spotted this small lizard on a paw paw tree at Seymour’s Pond Nature Trail. 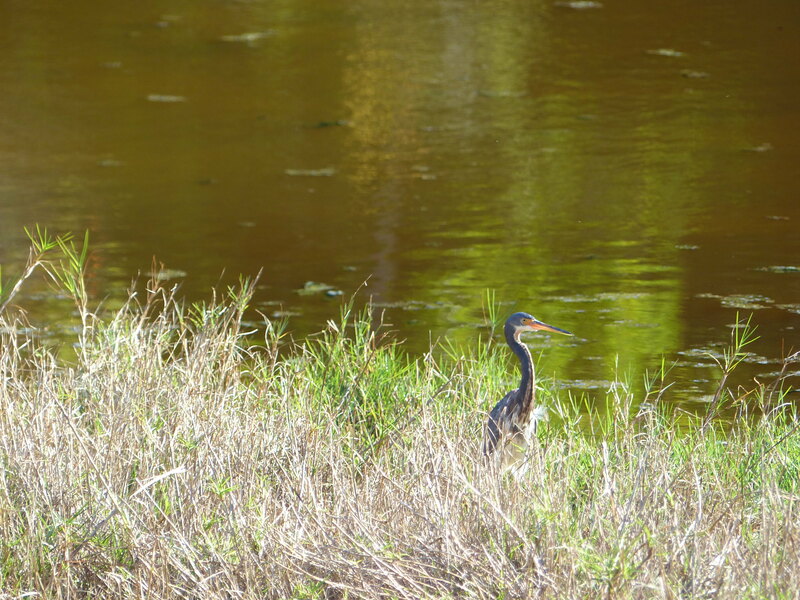 We also watched a heron at Seymour’s Nature Trail Park. 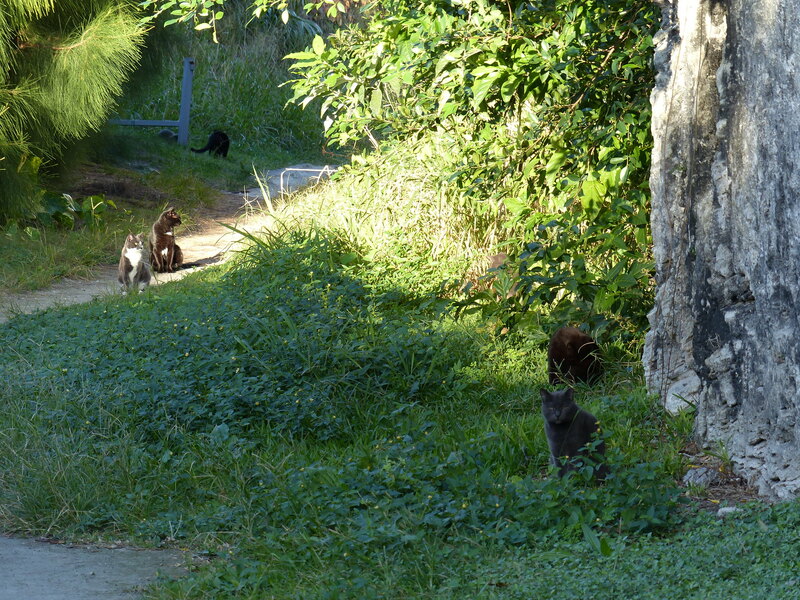 The wildlife didn’t stop there on the Railway Trail, as we came across a group of feral cats! 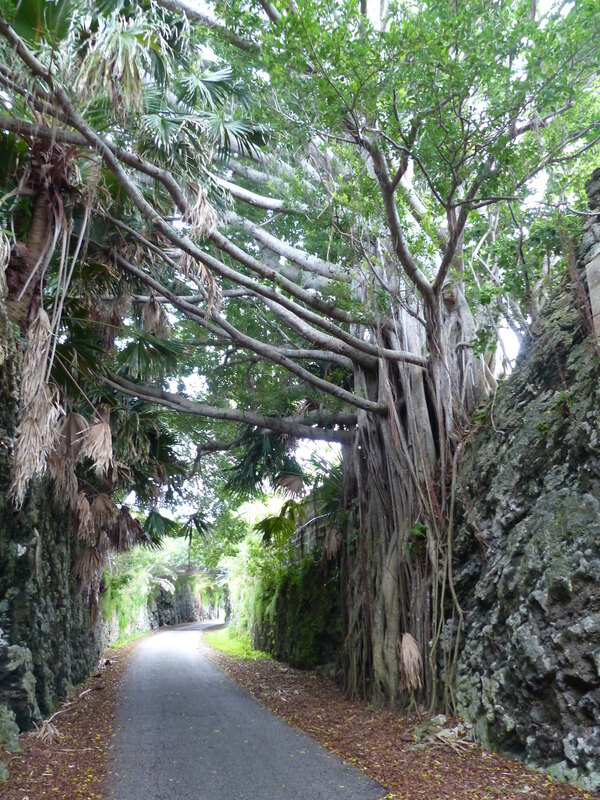 In places nature has started to take over the path that the railway once cut across Bermuda. The railway trail spans the length of the island with entry points along the way – look out for the brown signs. The trail is not continuous – it’s actually divided into nine sections, so there are a few spots where you have to watch out for cars when you cross roads and residential areas to get to the next section. 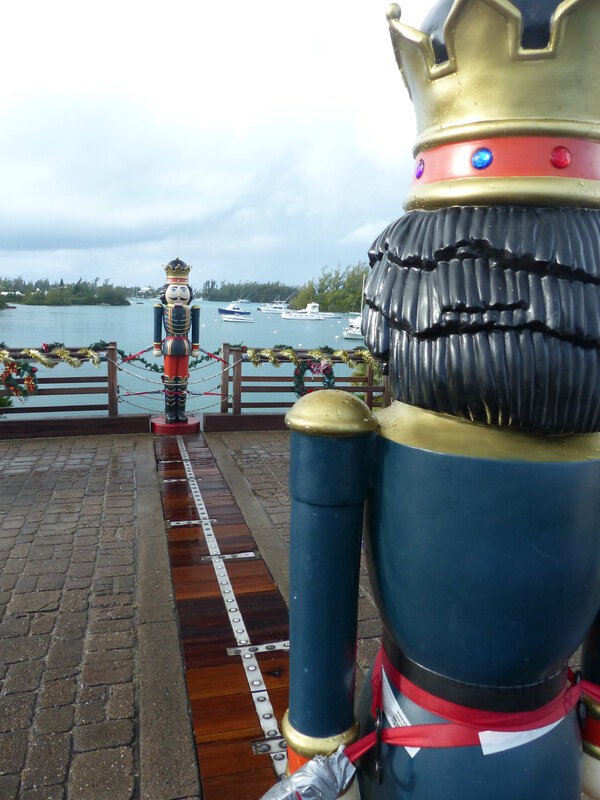 Check out Bermuda Attractions for a detailed breakdown of each section. 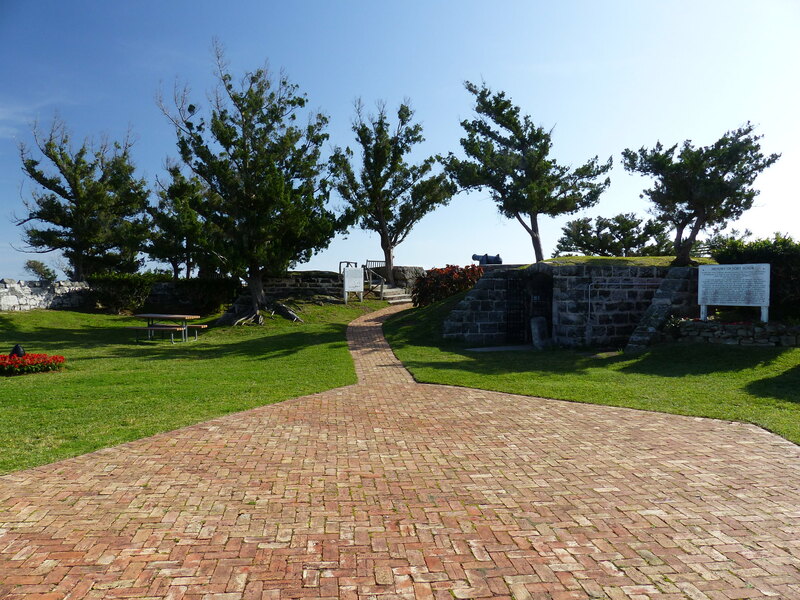 A free trail guide is also available from any of the Visitor Information Centres in Bermuda. The trail is suitable for both walkers and cyclists. Even if you only have time to cover a small section of the trail, we’d definitely recommend taking a stroll and seeing what hidden gems you can find. It really does look idyllic, but I can’t believe what a short life the working railway had. I bet they wish it was still functioning now as a cracking tourist attraction.